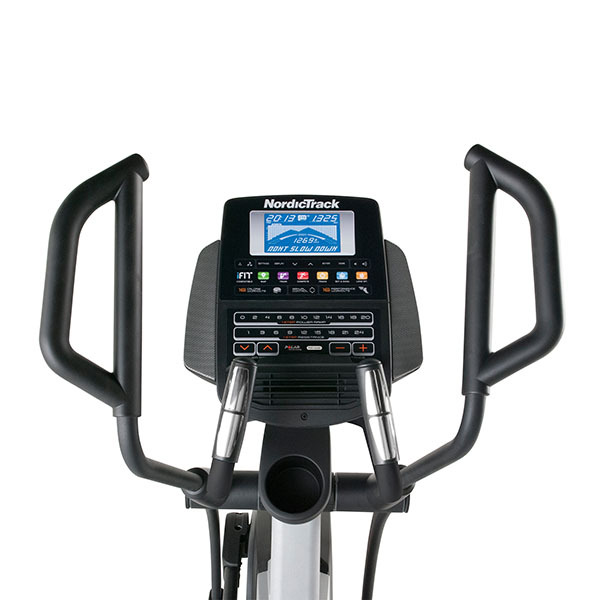 NordickTrack have always provided excellent bang for buck and over the years have come up with many of the home fitness industry leading machines. Always providing a good spec for the money their machines tend to be reliable, effective and tend to be packed with lots of features. 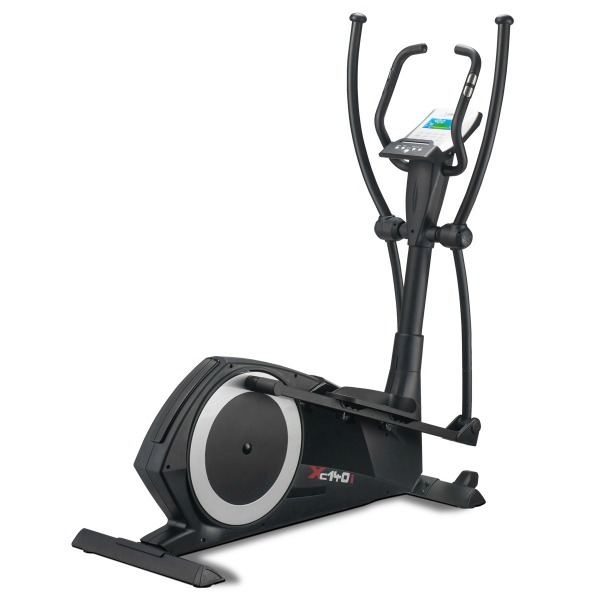 Having recently reviewed one of their latest top end elliptical cross trainers we were impressed so decided to take a closer a look at what they had to offer in their current upper-mid range. 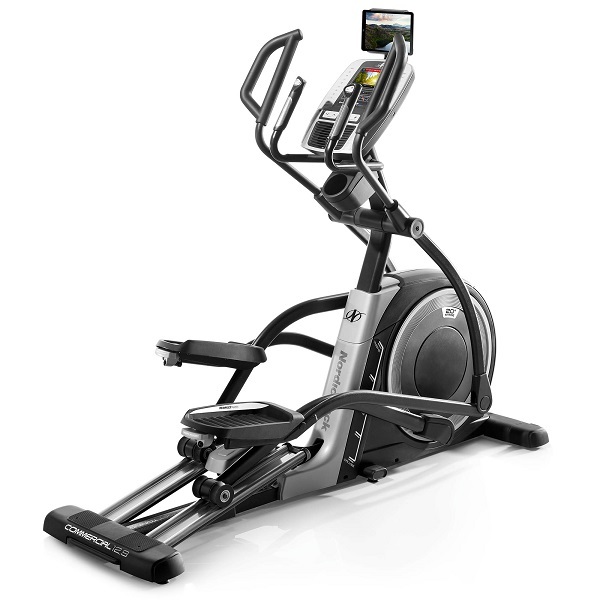 Positioned at the sub-£1000 price point the Elite 12.5 is an elliptical that really does, look to have it all. Electronic incline, interactive training capabilities, more preset workouts than you’ll realistically ever need and the sort of build quality that inspires confidence. As always, the first test is actually putting one of these machines together. When they’re designed and machined well, assembly tends to be pretty straightforward but when they’re not, putting a cross trainer together can make you wish you’d never bought the thing to begin with – before you’ve even had a go on it for the first time! 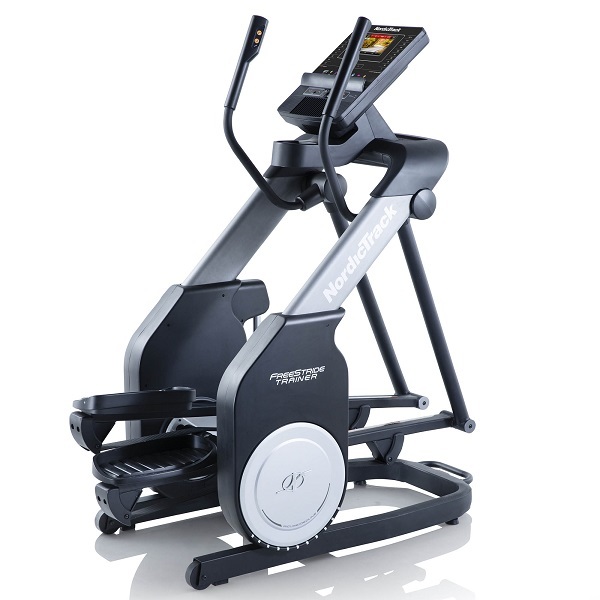 Thankfully we’re happy to report that the Elite 12.5, like most other NordicTrack machines, falls squarely into the former category. All in all, it took just under an hour to assemble and everything fitted together as it should. No major frustrations and nothing complicated and it was made all the easier due to the fact that a good deal of this machine is already pre-assembled! A very good start! In terms of looks, the Elite 12.5 is a good looking bit of kit. 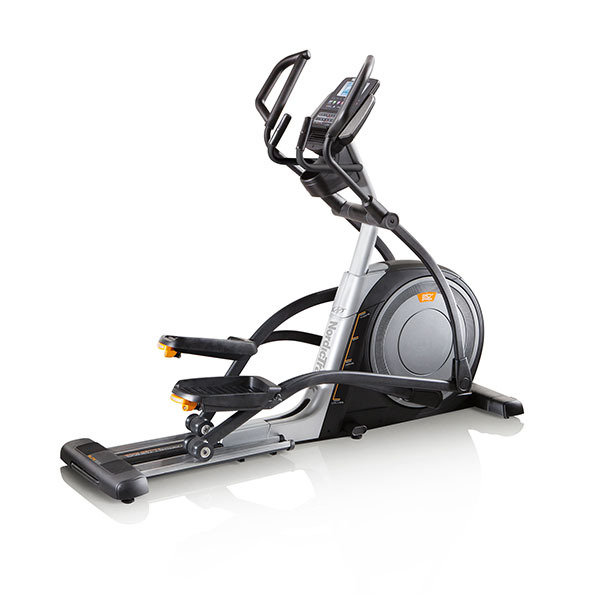 The combinations of grey and silver with orange trim work really well and the end result is an elliptical that looks modern, sleek and very sturdy. It’s a machine that will look good even if its placed in the family living room. This is important if you do put it in a room that’s used for other things on a daily basis, else it’s likely it will quickly be relegated to a room where it’s used far less often, substantially increasing the chances of it developing the dreaded expensive coat-hanger syndrome. 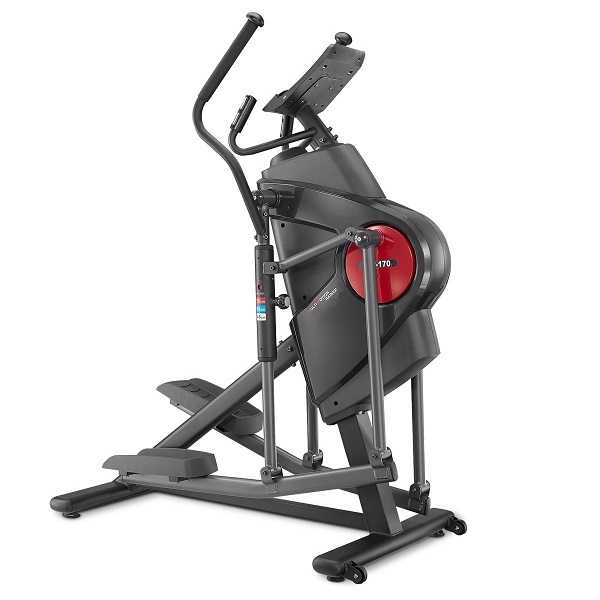 Like many other modern NordicTrack machines, the Elite 12.5really does make you feel like there’s a whole lot of knowledge being applied to the design. Everything from the console buttons to the adjustable pedals, to the screen layout just seems to work. All information and control mechanisms are clear, within easy reach and make sense. If this were to be the first cross trainer you ever got on, we’d bet that within a few minutes you’d be comfortable with the controls. 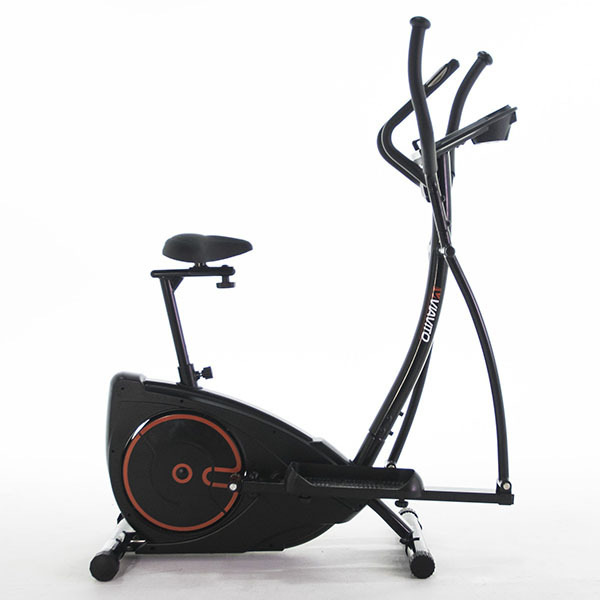 Their years of experience in producing fitness equipment really does shine through in almost all aspects of this model. Once you start exercising on this elliptical it’s not hard to appreciate what a good job the heavy 14kg (30lb) flywheel does. The action is smooth all the way through the entire cycle, it’s quiet, it feels sturdy and it definitely gives you the sense that you’re on a quality piece of equipment. It’s also made all the more comfortable due to having adjsutable pedals that allow you to change the angle of attack. 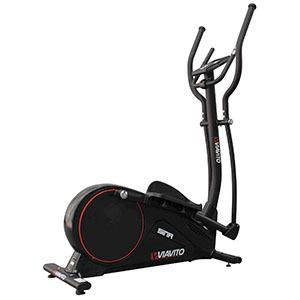 And while it would be too much to say the Elite 12.5 feels like a gym machine, it certainly feels a whole lot better to use than many home ellipticals out there. The stride length on this model changes with the incline settings. At its lowest setting the stride is a big 21” (53cm) delivering a relatively flat ellipse while on its highest setting the stride reduces to around 19” (48cm) but produces a much rounder ellipse. This has two main benefits. Firstly, almost any user regardless of their size and height will be able to find a stride that works well for them. Secondly, the change in the shape of the ellipse means that you can effectively work a wider range of muscle groups. Not entirely unlike the difference between a ski machine and a stepper (though not as extreme as either). 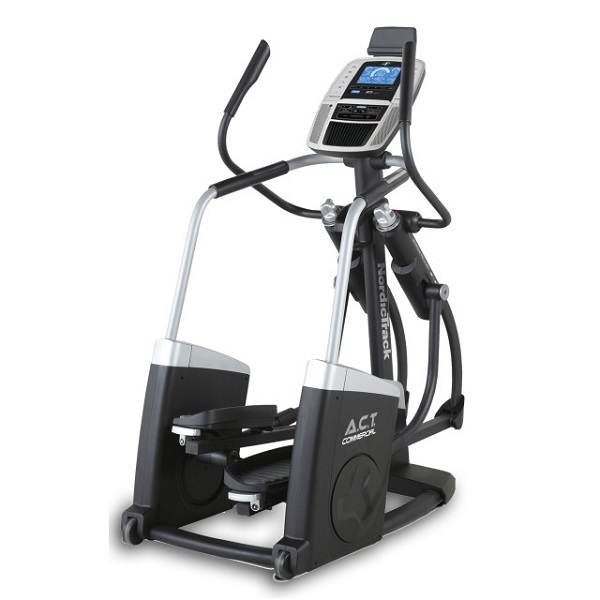 The incline is controlled electronically via the main control panel so it’s easy to change the settings mid-workout which allows you to switch between targeting muscle groups without having to stop and change the incline level manually. There are 24 levels of resistance and the change between levels is delivered swiftly enough to make this model a solid choice if your primary aim is interval training. Like all Nordic machines these days you can either go up/down step by step or select a preset level by pressing one of the ‘one-touch’ buttons. It’s a pity there are no controls for this on the handlebars themselves but in fairness, the keys on the console are easy enough to reach so we’re not going to complain too much about this. The console display is a 6’’ backlit dual colour unit that does a good job of displaying your training data that includes Time, distance, pulse, calories & speed – though the speed element always amuses us as this is a completely arbitrary figure – have you ever seen an elliptical speeding down the road passed your house? :). The buttons all make sense too and the 32 workouts are split into two main categories of calorie workouts and performance (cardio) workouts. This does make selecting a programme that’s suitable for your stated aim very easy. Hats off for making it so simple. Other buttons on the console control iFit Live activities which are available at additional cost. Click Here for more information on iFit Live. It does lots of things, so rather than try to cover them here we’ll let you investigate this yourself. Last but not least in addition to the presets and manual workouts there’s also a ‘set-a-goal’ function. This feature allows you to set a goal for calorie, distance, or time. Once set, just start working out and keep going until hit your target. Other console features include wireless heart rate receiver, audio input and speakers, and workout fan, water bottle holder and tablet holder. 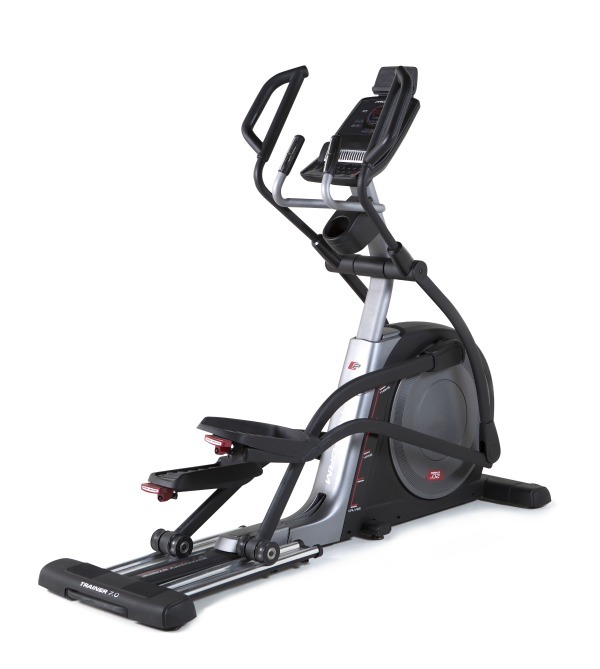 With a maximum user weight of a very hefty 145kg, a good range of workouts, electronic incline, iFit Live compatibility and NordicTrack’s 5 years frame and 2 years parts and labour warranty the Elite 12.5 is a very good piece of equipment coming from a venerable manufacturer. The NordicTrack Elite 12.5 is not currently available from any retailers we're aware of in the UK. 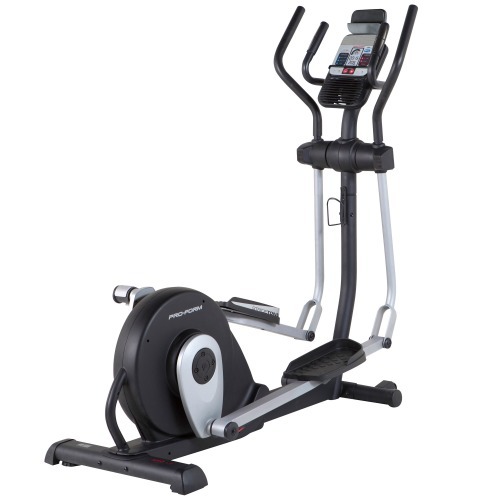 The NordicTrack Elite 12.5 really does tick most of the boxes if you're looking for an elliptical that's not going to break the bank but feels sturdy, will take a good deal of use and abuse without breaking down on you and has enough features to keep you interested in your training programme without being complicated to use. Throw in the possibility of expanding your training options to the interactive level and this really does take some beating for a machine that costs less than £1000. If you want to save a little bit and get a machine that's almost the same, then do have a look at the ProForm 7.0.